WESTCHESTER COUNTY, N.Y. -- “Don’t go ‘nuclear’” might be a warning to someone who is highly stressed and overreacting to a situation, but when it comes to testing the impact of stress activity on the heart, “nuclear” may be just what the doctor ordered. That’s because use of nuclear material, radioactive isotopes that act as a “dye,” can give physicians more accurate information about the size of a heart’s chambers, its efficiency in pumping blood and the presence of any damaged heart muscle. The test also has an estimated 85 percent accuracy rate in determining whether any of a patient’s major coronary vessels, namely the arteries supplying the heart with oxygen, blood and nutrients, is significantly blocked. The exercise portion of the test is usually performed while a patient walks a treadmill with a goal of achieving at least 85 percent of the maximum, age-appropriate predicted heart rate, a threshold at which the test becomes more diagnostically accurate. While exercise is a powerful prognostic tool and a great way for physicians to assess patient’s symptoms, for those who can’t exercise (due to orthopedic problems, and other co-morbidities), the dilation of blood vessels and increase in blood flow that is normally seen with exercise can also be induced chemically with medications called vasodilators (Lexiscan, Persantine). A physician may prescribe a nuclear stress test if a patient has a history of heart problems, such as a prior heart attack or diagnosed coronary artery disease or experiences suspected heart-disease symptoms like shortness of breath, unexplained chest pain or chest pain induced by exercise and extreme fatigue. Cardiac nuclear testing is also preferred in patients who’ve had previous coronary stents placed and in patients who’ve had coronary artery bypass surgery as it is an accurate method of determining the effectiveness of specific treatments. The nuclear testing process can be lengthy, taking between several hours to a couple of days depending on type of examination required and kind of radionuclide used to create images. Because the test involves a small amount of radiation exposure, women who are pregnant, may be pregnant or are breastfeeding should alert their physician. Certain medications, such as those to treat asthma or angina, may also interfere with test results. A. Garvey Rene, MD is a Johns Hopkins, Cornell, Columbia and Penn trained Clinical and Interventional Cardiologist with CareMount Medical. He is board-certified in internal medicine, echocardiography, cardiovascular disease and board-eligible in interventional and nuclear cardiology. 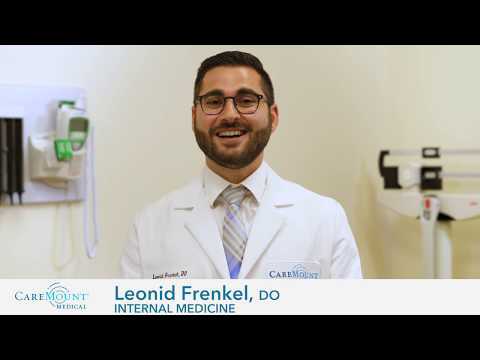 He sees patients both in Mount Kisco and Fishkill and performs his cardiac catheterizations at Westchester Medical Center.